Surprise! I’ve got another team member on the podcast for you. This will be our last podcast episode of 2017, and we’ll be taking a break in January. Victoria’s thoughts will be a great way to end 2017. 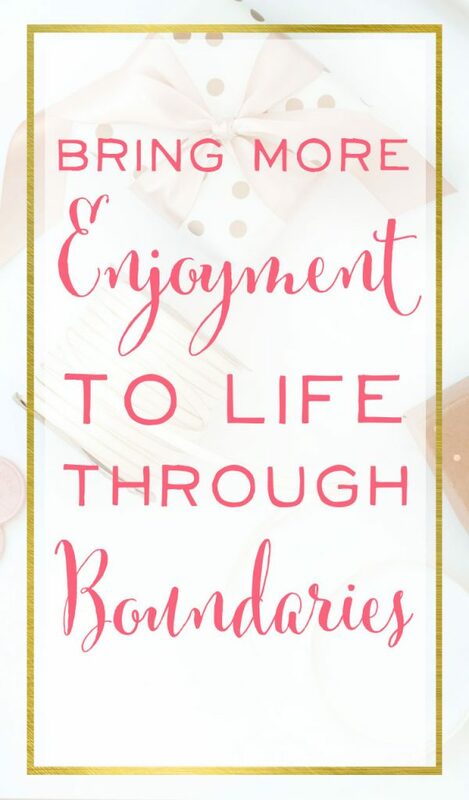 She shares some fabulous ways to honor your own boundaries and prevent burnout in your life. As you plan for 2018, I hope you’ll keep these thoughts in mind. Press play below to hear from Victoria! Especially around the holidays and heading into the New Year, our schedules are suddenly fuller than we thought they’d be….aaaaaaand we’re pulling our hair out! But maybe you’ve been living with this kind of harried anxiety for quite some time now. Maybe you’ve been committed to overwhelm for so long that frantic just feels normal. Maybe you’re even starting to feel those effects in your own body, with headaches, upset stomach, fatigue, or brain fog. I’ve got to tell you, those are classic signs of burnout. And if you’ve been there, I have, too. 2017 has been a bit of a painful growing year for my family and I. (We’re friends, right? Let’s just cut it straight.) About March we realized I was burning out and heading down a really scary road of health complications. It’s taken a year of rearranging life and schedules, reordering eating habits and priorities, and even pursuing counseling to walk the road to recovery. I feel obliged to let you know about the resource that really helped me this year. It’s a companion book set by Scottish Pastor David Murray and his medical doctor wife, Shona. Reset: Living a Grace-Paced Life in a Burnout Culture*. This book is directed toward men, and Refresh: Embracing a Grace-Paced Life in a World of Endless Demands*, is the counterpart written to women. Also, did I mention they’re Scottish!? I have a special affinity for Scottish accents. They make my heart pitter-patter. And you can hear David and Shona’s beautiful voices in this really wonderful sit-down interview. To give you a quick update before continuing (if you’re the kind of person who will be wondering!) our family is feeling especially blessed and hopeful of the healing that’s taken place. Almost in confirmation of the work we’ve been doing, I found out I’m expecting Baby #3 this Fall! We are grateful to God for stopping us in our tracks and granting the wisdom to see how to course correct. What I want to share with you are 3 perspectives that have helped me stop my hectic life pace and start focusing on what really matters. Keep in mind, I’m a work in progress just like you are. Please, pretty please, do not listen to this episode and think, “Wow! Victoria really has her ducks in a row!” As the viral saying goes, it’s more like I have squirrels and they are at a rave. I’m reminding myself of these perspectives over…and over…and over again. Sometimes I hit the mark; a lot of times I don’t. But I’m closer than I was before, and that’s what matters. I have to give credit to Christy Wright for the phrase JOMO, ‘Joy Of Missing Out’. So often we focus on what we’re leaving behind or missing when we say no or step back. Christy says that’s the wrong place to set your attention! Focus instead on what you’re gaining. Instead of hustling to accept that Moms Night Out invite with casual acquaintances, you might instead get the joy of a relaxing night at home with your husband – you remember, that guy you ACTUALLY know really well. Eliminate some extracurricular activities so many kids join these days. Sure, they might be genuinely fun and enriching to your child. But if you say no (or even say yes to just one) you won’t become an Uber driver for your kid and you’ll get the joy of eating dinner face-to-face with your family. Choose not to catch up with every latest episode of all the hot new TVs shows means you might miss out on some pop culture conversation, but you’ll have the joy of knowing you’re making progress towards your business goals – or finishing that home project you’ve been dying to do. We all live under a set of boundaries. (Don’t believe me? Hello, gravity! See? Boundaries aren’t all that bad.) The thing is if you don’t set your own boundaries, you’ll be scrambling to live life under someone else’s idea of how you should spend your time, money, and energy. I don’t know about you, but I want to be in control of my life! Setting boundaries really is almost the easy part. It’s actually enforcing them that’s tough. And for starters, we’ve got a great post on the Brilliant Business Moms blog about how to say no if you can’t ever seem to find the right words. I’m an ideas person. I constantly have new ideas that I want to act on RIGHT THEN. This year I was running 3 business ventures. 3!!! (No wonder I was burning out, right?) What I learned is that I need to set one business in particular aside for the time being, even though it’s the one I’m MOST passionate about, because the timing to pursue it just isn’t best. Keeping that long game in mind will really help you. It’s so easy to get caught up in the here-and-now, when really what we’re working towards is a brighter future. With that long term focus in mind, stepping back or saying no loses some of its initial sting. How do you feel after listening to this episode? What things might you need to set aside for the moment to pick back up later? I’d love to hear in the comments! *This is an Amazon affiliate link, which means at no additional cost to you if you click and purchase you'll be helping us bring more great content to you, free of charges!